Marriage fraud is an international issue that is growing momentum. It can happen to anyone as everyone falls in love. Many hearts are broken as well as time, energy, and money. The women who fall for these romance scams set off to build a family unit while the man they have married has a green card mission. Take a journey through one woman’s experiences of being married to an African man from Ghana who had an agenda to get to the U.S.A. 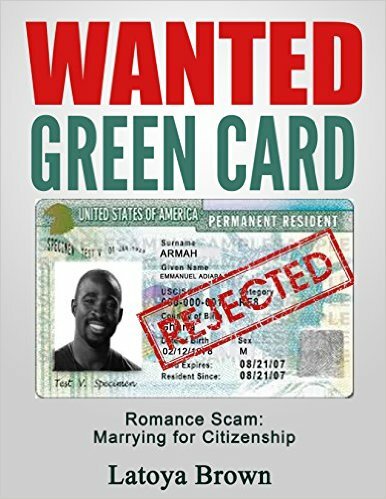 This book uses an experimental presentation featuring what a relationship of romance scam looks like starting online along with the blog presentation that must be read: http://www.wantedgreencard.wordpress.com. A proclamation of love follows quickly and it’s a whirlwind of emotions from there. Read along with chat conversations and emails of what it usually looks like; complete with courtship, abandonment, and divorce. Wanted: Green Card is currently available on Amazon as an ebook. 1) What made you write the book? I wrote this book because I learned that many women are victims of such faux relationships. The men are gushing over them and they have every intention of using them for a green card and to get to a supposed better opportunity. Whole families wait for this opportunity and support the user in his endeavors. 2) Is it 100% factual or have some names or other things been changed? The book is based upon my own experiences – some names have been changed. 3) you now healed from this heartbreak? I am healed, but I won’t ever forget it. It was a waste of my precious time even if it was a wake up call. 4)What should other women look out for? Other women should look out for how quickly the relationship moves from online chatting to “I love you” and “I want you to marry me”. They should slow the whole relationship acceleration down by making certain to claim their time for themselves and NOT be on the phone/computer for his every message. 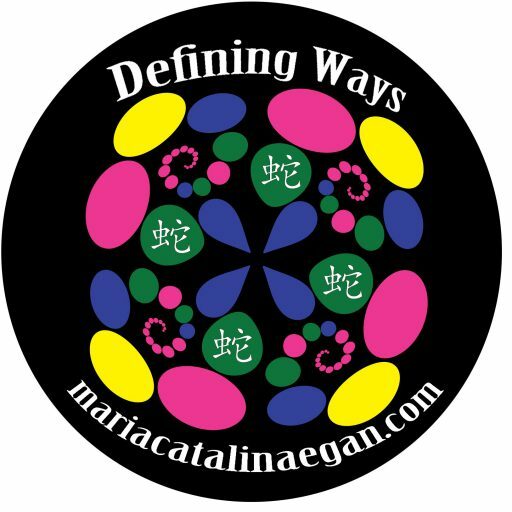 This will establish boundaries and once he feels he cannot hold your attention he will move on. Time is of the essence for him. In my own case mine claimed to love the name “Latoya” and had befriended several ladies with that same name. I would later learn that he only was looking for a specific type of person of whom he thought would be able to assist him in his dreams. 5)Do you still believe in Love? I do believe in love…with boundaries and a plan that each of the people involved is in on. 6)Anything else you wish to share? The book is an experimental presentation of the new merging class of victims related to marriage fraud. You may also follow along on the blog: http://www.wantedgreencard.wordpress.com where reflections and memories are shared. Latoya Brown is a serial entrepreneur, digital media marketing consultant, and world traveler. Follow along with reflections of women who have been used, and are healing from a romance scam, on the blog: Wanted: Green Card, or on the online show, International Wives of African Men. Let’s have more dialogue on this growing issue. Not every person is “out to get you” but there are some inherent issues when it comes to a person who may have been dreaming his whole life to obtain a better way of living. The more we speak on it the less it could happen. Latoya is now available for speaking engagements of all sorts on the topics of immigration marriage fraud, multicultural relationships, and the mysterious world of romance scams. marrying a person who was incapable of being a husband and a father and simply was not prepared to enter in to a marriage. Bringing to light a new merging victim class of women who fall in love only to learn that they are being used for money and a faster track of a visa or green card to their country. This blog presents one story while the book, Wanted: Green Card presents another story that jumps right in to the quick words of online confessions of love, marriage, abandonment, and divorce. The blog and the book are meant to work and be read together, so follow along and order the book, Wanted: Green Card.